Traditionally, we’ve been most concerned about removing arsenic from well water as arsenic risks are well known. But as sensitivities are increasing, especially in children – and as more research on arsenic risks has become available – we have been finding some municipalities where we feel arsenic should be filtered out as well. can be, we should be paying more attention. Inorganic arsenic – they type found in water – is considered more dangerous than organic, frequently found in foods. In the US, accepted levels of arsenic in the water are 10 parts per billion. We submit this may be too high. Given what we know about arsenic risks, illustrated by the quote below, leads us to think that there may actually not be any acceptable level of arsenic in drinking water. Make your own decision, but if you are in a municipality like one we saw recently where at times it is measured up to 6 parts per billion, we think it is advisable to filter it out, especially if you are pregnant or have children. Here is a link to an Arsenic and Fluoride Kitchen Filter. Here is a link to some other Arsenic Kitchen Filters. We can configure kitchen filters in other combinations to address what is needed for your water. “Exposure to arsenic in drinking water at the level the U.S. Environmental Protection Agency (EPA) currently deems as safe in the United States (10 parts per billion) induces adverse health outcomes in pregnant and lactating mice and their offspring, concludes a study led by Joshua Hamilton of the Marine Biological Laboratory (MBL) and Courtney Kozul-Horvath at Geisel School of Medicine at Dartmouth The team is part of the Dartmouth Superfund Research Program on Toxic Metals. “Pregnant and/or breastfeeding mothers who consumed low levels (10 ppb) of arsenic in their drinking water, the scientists found, exhibited significant disruption in their lipid metabolism, leading to diminished nutrients in their blood and in their breast milk. As a result, their offspring showed significant growth and development deficits during the postnatal period before weaning. Birth outcomes such as litter size and length of gestation were unaffected. Please read the complete article with references at Marine Biology Laboratory at Woods Hole. “The University of South Carolina Department of Environmental Health Sciences warns that arsenic, along with lead and mercury, are known to produce horrible neurological effects on developing fetuses and young children. Arsenic exposure during the first trimester of pregnancy is known to cause intellectual disabilities and the University of Massachusetts School of Public Health and Health Sciences reports that prenatal arsenic exposure may lead to diseases later in life; bladder cancer has been known to develop up to 20 years after exposure.” Excerpted from Global Healing Center. “Drinking water is an important and potentially controllable source of arsenic exposure. In fact, drinking water is a major source of arsenic exposure in some parts of the world. In parts of Taiwan, Japan, Bangladesh, and western South America, high levels of arsenic occur naturally in drinking water. “Water in some areas of the United States, especially in the West, also naturally contains arsenic. Most US areas with higher levels of arsenic in drinking water are rural communities. Albuquerque, New Mexico, is the only urban area in the US with substantial natural arsenic levels in drinking water. “Arsenic levels tend to be higher in drinking water that comes from ground sources, such as wells, as opposed to water from surface sources, such as lakes or reservoirs. “Arsenic levels in public drinking water are regulated in the United States by the Environmental Protection Agency (EPA). Since January 2006, the maximum level of arsenic allowed in US drinking water is 10 μg/L (micrograms per liter), or 10 ppb (parts per billion). “Exposure to high levels of arsenic has been linked to several types of cancer. “In studies done in the lab, animals are exposed to a substance (often in very large doses) to see if it causes tumors or other health problems. Researchers may also expose normal cells in a lab dish to the substance to see if it causes the types of changes that are seen in cancer cells. 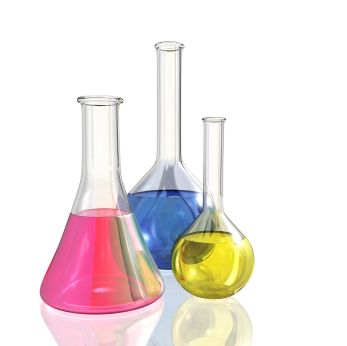 It’s not always clear if the results from these types of studies will apply to humans, but lab studies are the best way to find out if a substance could possibly cause cancer in humans before widespread exposure occurs. “Another type of study looks at cancer rates in different groups of people. Such a study might compare the cancer rate in a group exposed to a substance to the rate in a group not exposed to it, or compare it to what the expected cancer rate would be in the general population. But sometimes it can be hard to know what the results of these studies mean, because many other factors that might affect the results are hard to account for. “In most cases neither type of study provides enough evidence on its own, so researchers usually look at both lab-based and human studies when trying to figure out if something causes cancer. “Studies of people in parts of Southeast Asia and South America with high levels of arsenic in their drinking water have found higher risks of cancers of the bladder, kidney, lung, skin, and, less consistently, colon, prostate, and liver. “In most of these studies, the levels of arsenic in the water were many times higher than those typically seen in the United States, even in areas where arsenic levels are above normal. “There have not been as many studies looking at arsenic in drinking water and cancer in the United States. This is largely because for most Americans who are on public water systems, drinking water is not a major source of arsenic. The studies that have been done have generally not found a strong link between cancer and the lower levels of arsenic exposure typically seen in the US. “Arsenic is rather unusual in that the evidence for it causing cancer is actually stronger in human studies than it is in studies done in the lab. Some studies have found higher rates of stomach, bladder, and lung cancers, leukemias, and lymphomas in certain species of animals exposed to high levels of inorganic arsenic. But other studies have not found an excess of tumors in lab animals exposed to arsenic. “The International Agency for Research on Cancer (IARC) is part of the World Health Organization (WHO). Its major goal is to identify causes of cancer. IARC classifies arsenic and inorganic arsenic compounds as “carcinogenic to humans”, based on evidence from human studies that it can cause cancer of the lung, bladder, and skin. 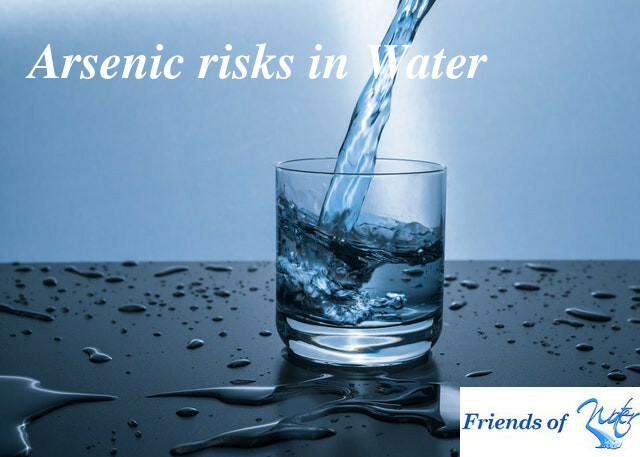 IARC also notes possible links between exposure to arsenic in drinking water and cancers of the kidney, liver, and prostate, although the evidence for these is not as strong. From American Cancer Society. Click through for more information about arsenic risks.